Politics is a team sport – until you win? 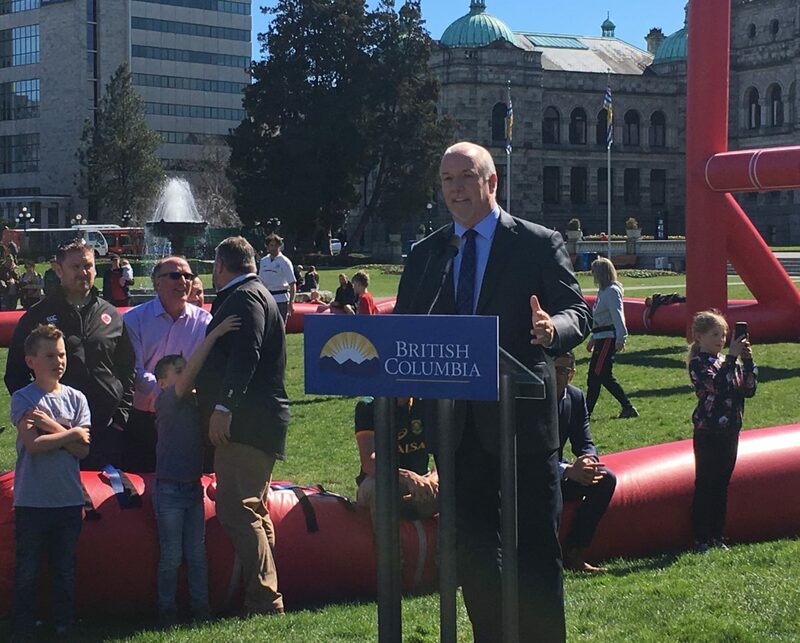 Premier John Horgan, in front of another team sport - rugby. Premier John Horgan’s remark isn’t just untrue, says Jordan Bateman, but reveals the hazards of elected office. Power changes a person. That’s not a startling revelation – politicians have often flip-flopped on various policy issues; just ask the Green Party about the NDP’s stance on Site C and LNG. There’s a bubble created around political leaders. Their schedule is no longer their own, and their interactions with real people become more and more limited. This is how Christy Clark, B.C.’s most gifted retail politician since W.A.C. Bennett, ends up fumbling in a grocery store aisle under the questions of a woman named Linda. They get rusty and end up relying too heavily on paid staffers, key cabinet officials, and other lackeys who depend on their grace for their job. They begin to believe their own hype, and that they are the smartest people in the room. (This is how Justin Trudeau and his braintrust – using that word very loosely – screw up #LavScam over and over again.) Don’t question the boss. Horgan was trying to put distance between himself and “his friend” Rachel Notley, the NDP premier of Alberta who dares to support the nation-building Trans Mountain pipeline expansion project. Horgan, of course, cut a deal with the BC Green Party to use “every tool in the toolbox” to kill Trans Mountain. If he reneges, the Greens could pull their support. Politics is not a team sport, Horgan spat out at the press conference. That’s a big shift from a guy whose leadership campaign in 2014 used the Twitter handle, @TeamHorganBC. It’s also wrong. Politics has evolved into the ultimate team sport. Horgan only serves as premier because his NDP team cobbled together a slim majority, with the help of the BC Greens. I wonder if NDP cabinet ministers are sensing their boss has changed his views on team. Obviously, Horgan is wrong. Politics is absolutely a team sport. Elected officials, staffers, volunteers and activists work together to accomplish a goal of setting a vision, reaching out to the electorate, winning power and changing things. Horgan and his (apologies, Premier, for using the word) team will no doubt brush off his comment as being solely about Rachel Notley and the Alberta NDP. But bear in mind, both BC and Alberta NDP are automatically members of the federal NDP and thus ON THE SAME TEAM. BC NDP MLAs may want to keep an eye on their Premier. If the seeds of selfishness are taking root, if he’s been insulated from the very people he was elected to serve, the beginning of the end of this NDP run could be near indeed. Jordan Bateman has a long history of public policy work, championing small business and fiscal responsibility. Currently the Vice President, Communications & Marketing for the Independent Contractors and Business Association (ICBA), Jordan also served six years as the B.C. 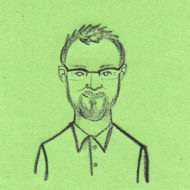 Director of the Canadian Taxpayers Federation, and was a two-term Langley Township.